Kathy Donnelly, E-RYT500, Owner/Director of The Yoga Center of Columbia, has been studying yoga for 25 years and completed teacher training with The Yoga Center of Columbia, Willow Street Yoga Center, and extensive study of yoga with master teachers. A certified teacher since 2003, Kathy has studied with many national and international teachers of yoga, as well as Zen Meditation teachers Thich Nhat Hanh and Jack Kornfield. Since 2005, when Kathy became owner of the Yoga Center, the program has trained over 300 teachers. Kathy’s emphasis in teacher training is to assist each student to cultivate his or her inner teacher through clear instructions, sequencing and creating an atmosphere that puts the student at ease. Come and learn how to share the gift of yoga and deepen your commitment to this path. Lucy Lomax, C-IAYT, E-RYT500, RPYT, YACEP, C-iRest®, C-WAE, is a Certified Yoga Therapist, Experienced Yoga Teacher, Certified iRest Meditation Teacher, Certified Warriors at Ease Teacher, Cancer Exercise Specialist, and Yoga for Amputees Master Teacher Trainer. Lucy has 19 years of yoga teaching experience and is a trainer for both entry and advanced level yoga teachers. She teaches public classes, workshops, retreats, and private yoga therapy sessions. Her teaching focuses on traumasensitive yoga and meditation, and adaptive yoga for injuries, illnesses, special conditions, and recovery. Kelly Fisher, C-IAYT, E-RYT500, YACEP, believes in the physical and spiritual healing power of yoga, and aims to empower her students to strengthen their bodies, hearts and minds through her challenging yet calming instruction. Her style is rooted in her many years of meditation practice and her multidisciplinary study of hatha yoga, tantric philosophy, and ayurveda. She was one of the first in the country to earn her Yoga Therapist certification from the International Association of Yoga Therapists. In 2017 she earned her certifications as a Yoga for Healthy Aging teacher from Baxter Bell and as an Ayurvedic Yoga Specialist from the Himalayan Institute. Bita Jenkins, M.D., E-RYT500 has been practicing and studying yoga since 1976. She has completed teacher training with The Yoga Center of Columbia, Willow Street Yoga, and has been studying with various master teachers. Since completing her teacher certification in 2007, she has been teaching at The Yoga Center of Columbia and Willow Street Yoga and has continued her studies and teachings. 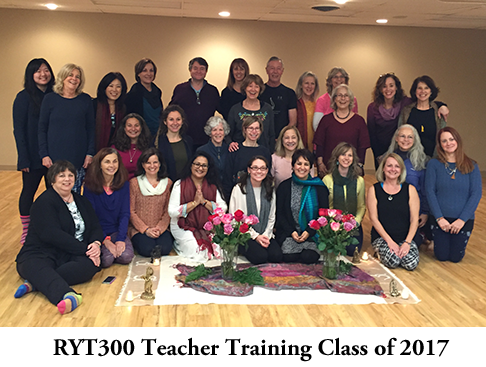 Bita’s strength as a teacher comes from her strength in practice first and foremost, continuing to shift and grow with the teachings. Bita’s emphasis in teacher training is to provide, empower and assist each student to not only deepen their knowledge and understanding of yoga, but of themselves. She inspires them to cultivate, explore and thrive on their journey.